Group Theory And Chemistry Pb. Group theoretical principles are an integral part of modern chemistry. Not only do they help account for a wide variety of chemical phenomena, they simplify quantum chemical calculations. Indeed, knowledge of their application to chemical problems is essential for students of chemistry. 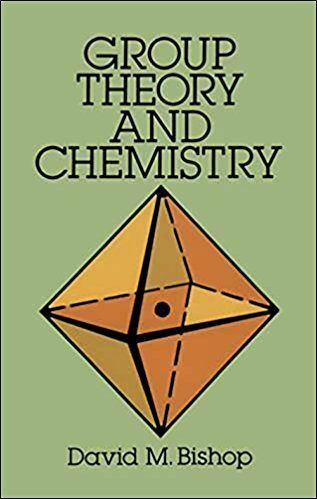 This complete, self-contained study, written for advanced undergraduate-level and graduate-level chemistry students, clearly and concisely introduces the subject of group theory and demonstrates its application to chemical problems. To assist chemistry students with the mathematics involved, Professor Bishop has included the relevant mathematics in some detail in appendices to each chapter. The book can then be read either as an introduction, dealing with general concepts (ignoring the appendices), or a fairly comprehensive description of the subject (including the appendices). In any case, the author assures students that the mathematics involved in actually applying, as opposed to deriving, group theoretical formulae is quite trivial. It involves little more than adding and multiplying. 1973 edition.